The face of a weasel. 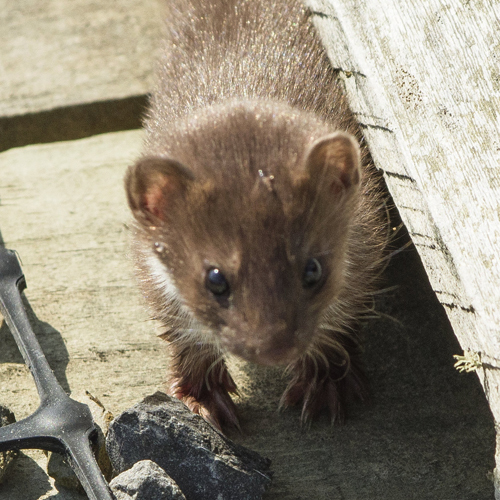 Weasels, like stoats, have short ears, dark eyes and a pointy snout. They can look very similar but weasels are smaller, have a shorter tail and lack the black tail-tip of a stoat.